Facebook announced it is ending a marketing program established to target multicultural audiences with more relevant ads under pressure that it could be used as a tool for discrimination. It’s a common practice for companies to advertise to specific markets such as women, men, kids, older people, and Hispanic communities with ads for products that they would find appealing. It makes sense for businesses to target those who want their products and it ensures we all don’t get flooded with ads that are of no interest to us. For example, how many men want to receive tampon ads while surfing online? Marketing to specific communities is getting into trouble online, though as critics suggest that it could be used intentionally to exclude based on ethnicity. Democratic lawmakers on Capitol Hill and so-called civil rights leaders are slapping Facebook and the tech industry with another claim of discrimination. They claim that advertisers could use the company’s market segmenting tool to run ads that discriminate by filtering out certain demographics. While you can’t target someone specifically based on race, Facebook allowed advertisers to market to people based on ethnic affinity (six categories that include African-American, Asian-American, and four types of Hispanic groups based on whether they speak Spanish, English, or both). Facebook also allowed advertisers to exclude users with one of these affinities from seeing an ad and that is the rub. Reading Pro Publica, you might believe that Facebook’s market segment tools for ads is like the new “Jim Crow era.” The website released a report claiming that Facebook allowed discriminatory ads based on race. They purchased an ad for a housing listing as evidence that it’s possible to ensure certain races didn’t receive this particular advertisement. 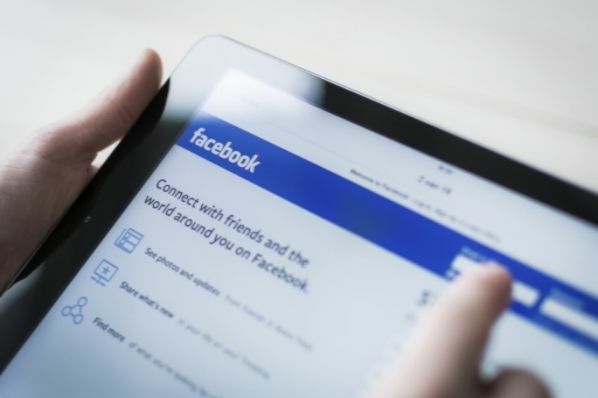 Facebook announced that it would disable the use of ethnic affinity marketing for certain types of ads – specifically housing, employment, and credit. They are also updating their advertising policies to more explicitly require advertisers to affirm that they won’t engage in discriminatory advertising on Facebook. Recently, policymakers and civil rights leaders have expressed concerns that advertisers could misuse some aspects of our affinity marketing segments. Specifically, they’ve raised the possibility that some advertisers might use these segments to run ads that discriminate against people, particularly in areas where certain groups have historically faced discrimination — housing, employment and the extension of credit. We take these issues seriously. Discriminatory advertising has no place on Facebook. “We are writing to express our deep concerns with reports that Facebook’s 'Ethnic Affinities' advertising customization feature allows for advertisers to exclude specific racial and ethnic groups when placing housing advertisements. Signed by members of the Black Congressional Caucus, the letter also took a dig at the low level of diversity in the ranks of staff at Facebook, saying more diversity could have prevented this. Initially, Facebook responded by defending multicultural marketing as a standard industry practice, but following meetings with these lawmakers, we see that they’ve done an about face. Discrimination should not be tolerated. It is repugnant and illegal. Legitimate cases should be exposed and prosecuted and there is plenty of law to do so, including the Civil Rights Act of 1964 and the Fair Housing Act of 1968. However, what’s lacking in this Facebook example is evidence. Other than ProPublica’s experiment, there doesn’t appear to be much -if any- evidence that marketers in the realms of housing, banking, or employment have used Facebook ads in a discriminatory way. If that’s the case, this could at best be a solution in search of a problem and at worst a way for lawmakers to bully private companies into compliance with their agendas. Multicultural marketing was explicitly developed to reach communities of color among other groups with the products and services that would appeal to them in languages and delivery methods that resonate. If we’ve reached a point in our society where such marketing is no longer warranted, then perhaps it’s time for the entire advertising/marketing industry to take a look at it. However, if we did away with multicultural marketing tools and strategies, that would have an impact on companies, particularly smaller companies, which target their niche products to specific audiences. Tech companies have become the punching bag for progressive policy makers for many reasons and increasingly, race is topping that list, but the proof of widespread discrimination has yet to be in the pudding.